This Limestone English Regency home was designed in the 1930’s by John Staub for Texas oilman Hugh Roy Cullen. It was later owned by Lynn and Oscar Wyatt.The famous Steuben crystal Anthemion staircase, the entry doors, marble floors, and fireplaces are just a few elements of note. The house is furnished with 18th and 19th century European furniture and original chandeliers. 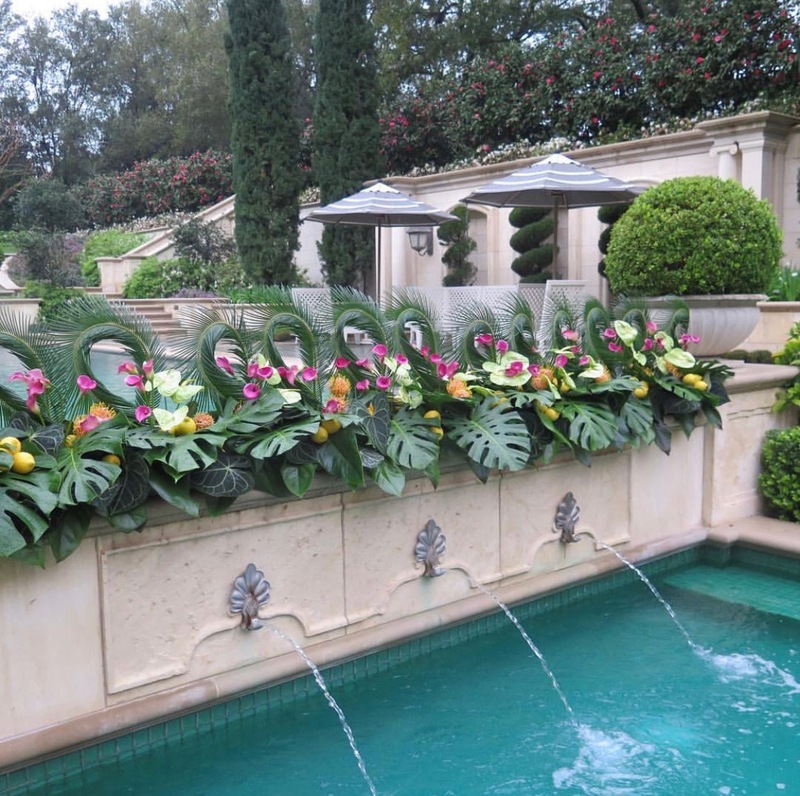 Landscape architect Johnny Steele redesigned the grounds and gardens to fit the present owners’ lifestyle. 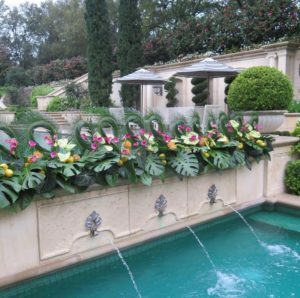 The Parterre rose garden, camellia allee, and sunken pool loggia are just a few of their favorite landscape improvements. The original Cullen property included this two acre parcel. In 1960, U.S. Representative Lloyd Bentsen purchased it for his home. In 2003, the current owners acquired the parcel, which reassembled the original Cullen property. The Bentsen home was reduced to make a guest house for friends and family. The style is European with Italian and French furnishings.